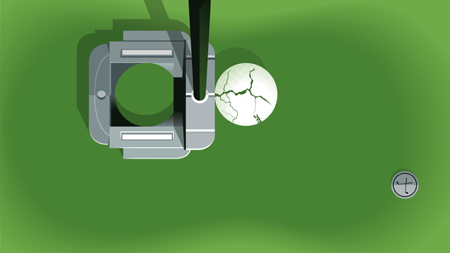 John Tomac’s illustrations for Grantland.com accompany an account of a “magic golf club” that seems destined to revolutionize the game of golf. Its creator, Dr. Essay Anne Vanderbilt, is an engineer whose previous work is said to included top-secret government projects like the B-2 Bomber.